X Gon’ Give It To Ya! 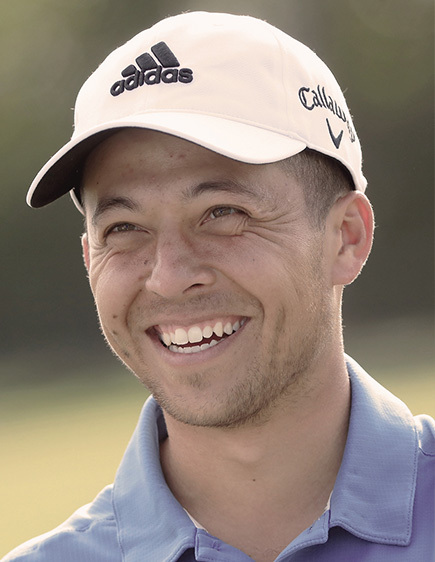 Born and raised in San Diego, California, Xander Schauffele fixed his sights on golf at the young age of 10. 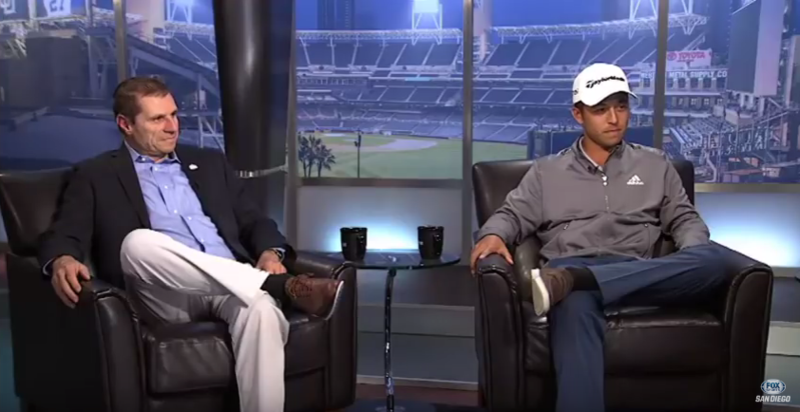 His father, a graduate of San Diego Golf Academy (now Golf Academy of America), encouraged his interest and to this day is his only swing coach. 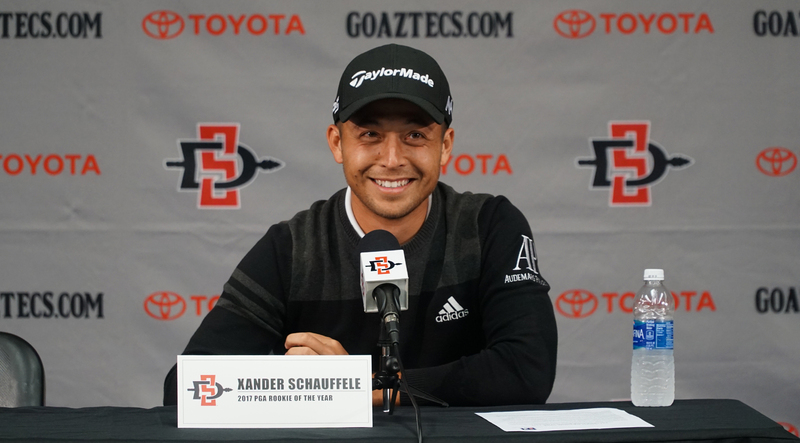 Schauffele played golf for Scripps Ranch High School, then Long Beach State University and San Diego State University. Among other early accolades, he won the individual title of the 2011 California State High School Championship and is the 2014 California State Amateur champion. 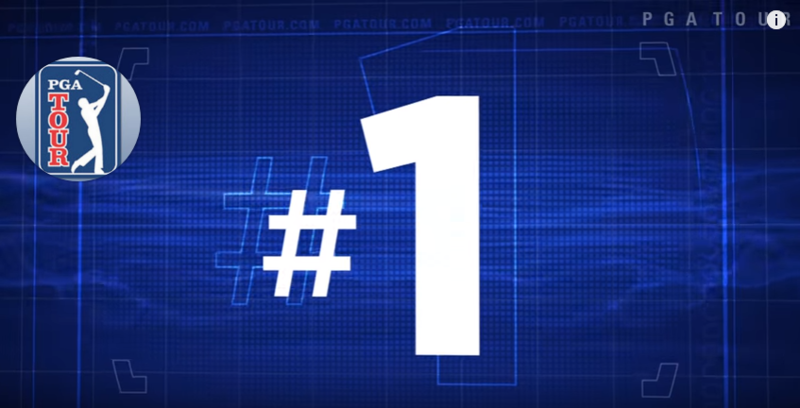 After a solid first season on the Web.com Tour, Xander finished in 26th position at the end of regular season play, a mere US$ 900.00 short of earning a PGA Tour card. In the ensuing Web.com Playoffs Xander did finish in 15th position securing his privileges for PGA Tour membership the hard way. Xander finished his first PGA Tour season with a solid run beginning with a T5 at the 2017 US Open and ending with being the first ever rookie to win the PGA Tour Championship. His 2-win season (2017 Greenbrier Classic; 2017 Tour Championship) earned Xander the Rookie of the Year award for the 2016-2017 season. 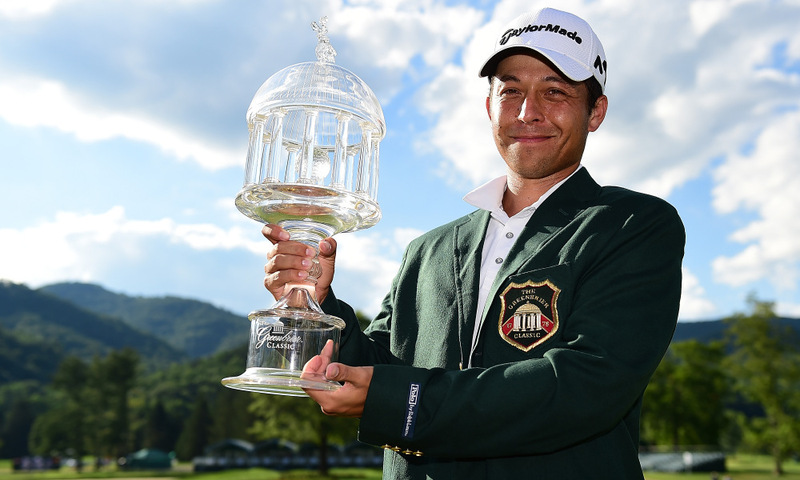 PGA golfer and California native Xander Schauffele joined the professional scene in 2015. After becoming the first rookie in history to win the PGA Tour Championship Xander was voted “rookie of the year 2017” by his peers on the PGA Tour. 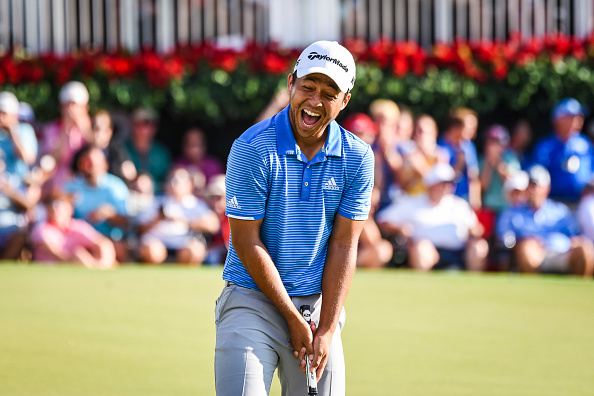 There are many ways to measure success, and Xander Schauffele has the PGA Tour Rookie of the Year Award as ample proof that his professional golf career is taking off. Looks can be deceiving in golf. Two players standing no bigger than 5-foot-10 and weighing no more than 170 pounds were announced as Player and as Rookie of the Year. Catch up on the final round action from the top of the leaderboard, as the battle continues for the FedExCup at the Tour Championship. 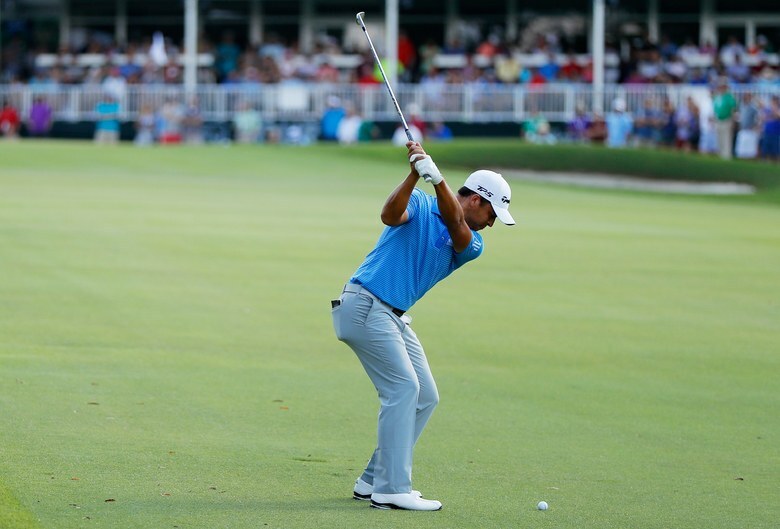 Xander Schauffele won the 2017 Tour Championship. 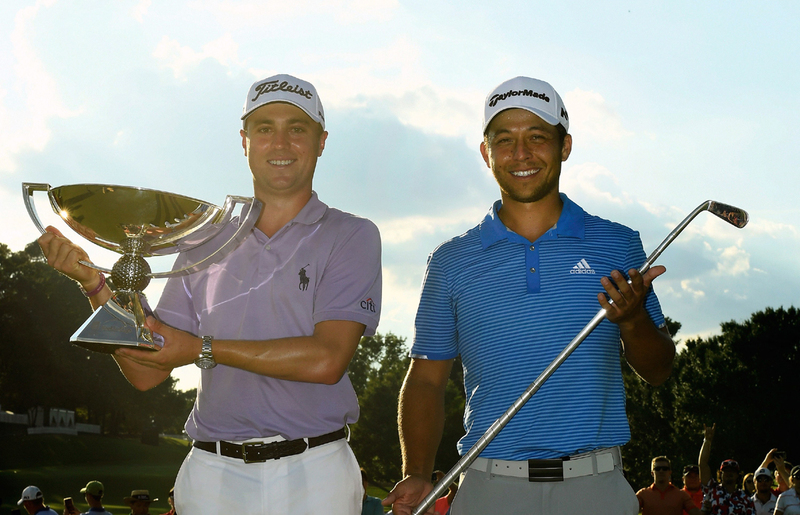 But for the first time since 2009, a victory in the season's final tournament did not result in a FedEx Cup triumph. 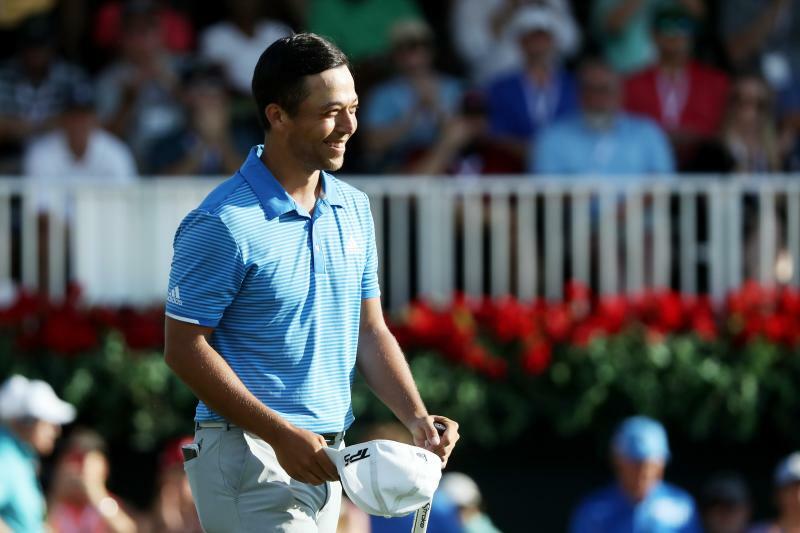 Xander Schauffele wasn't the most famous player at the Tour Championship, and he wasn't the biggest. But after shooting 65-68 on the weekend at East Lake, the 5-foot-10 165-pounder took home the tournament win and $3.5 million. 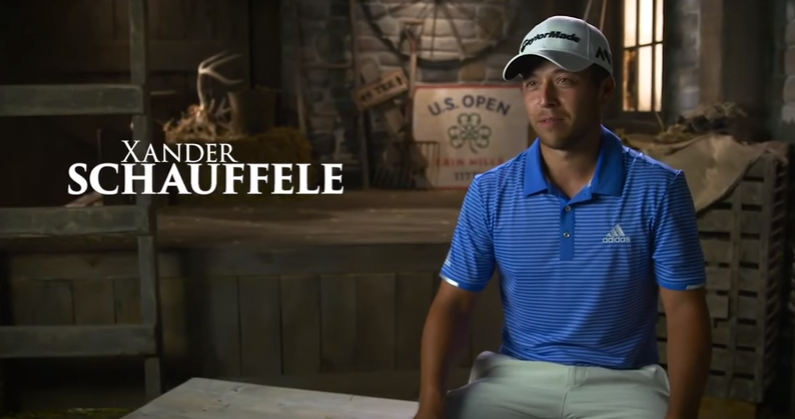 Xander Schauffele honored a U.S. Open tradition this year at Erin Hills, providing the championship with the obligatory first-round surprise with his six-under 66 in his debut in a major championship. But the former San Diego State All-American has gone off script since. 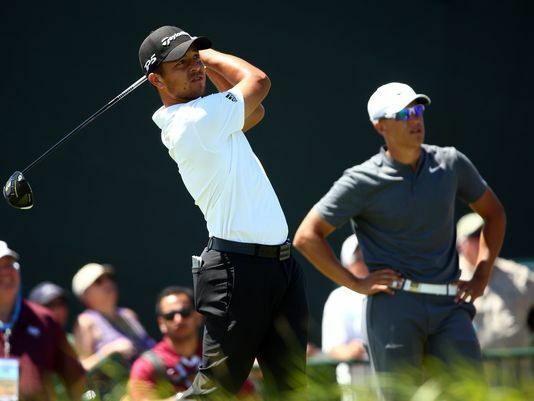 A strong finish in the U.S. Open last month helped prepare Xander Schauffele for the nerve-racking grind of chasing a title on the PGA TOUR. 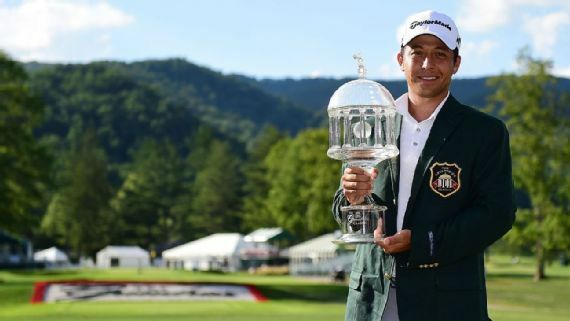 The rookie made a 3-foot birdie putt on the final hole Sunday to win The Greenbrier Classic by a stroke over Robert Streb for his first tour victory. 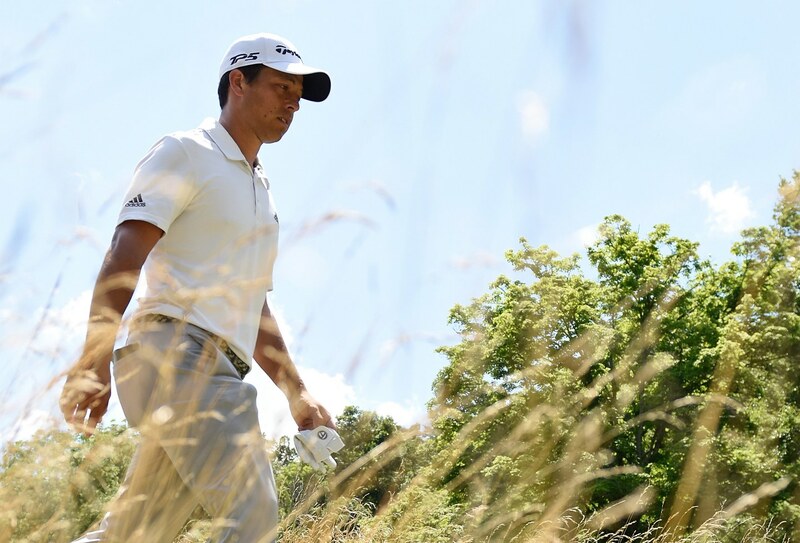 Xander Schauffele had never seen Erin Hills — or any U.S. Open course, for that matter — before arriving in Wisconsin earlier this week, but he felt like he knew the place. For all other business inquiries please contact Ross Chouler. 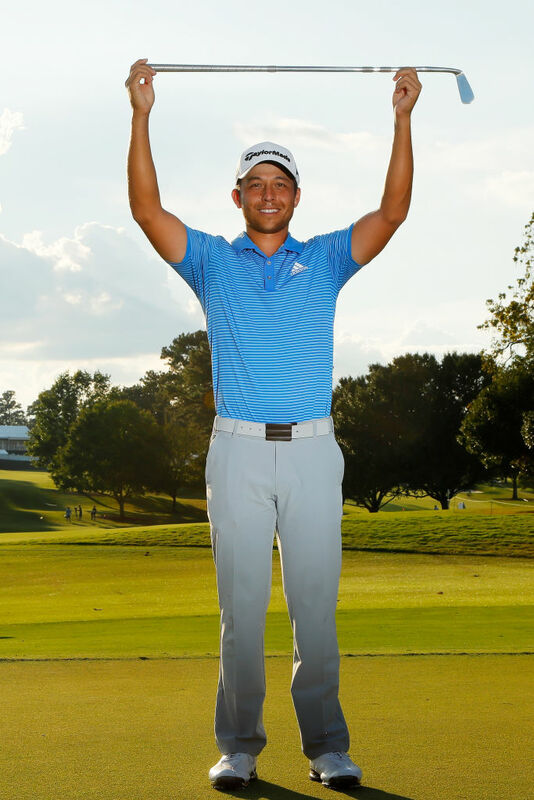 © 2019 Xander Schauffele. All Rights Reserved.